Residents of Sturgeon Bay in Door County, Wisconsin have a choice of 2 passport acceptance agents to visit in order to get their passport application sealed. 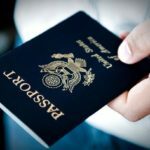 The passport agents in Sturgeon Bay can provide you with passport forms or witness your signature and seal your passport documents (if you don't need your passport application sealed then you do not need to visit an acceptance agent). Besides the 2 locations there are 233 other locations in the state of Wisconsin from which you can get a passport application sealed at. If you are not needing a passport in Sturgeon Bay for a least (3) weeks, you can visit any of the passport acceptance agents listed below the map on this web page. If you need it faster than (3) weeks we have provided the closest regional passport offices to Sturgeon Bay, Wisconsin and Expedited Passport service options for Sturgeon Bay. Getting a passport in Sturgeon Bay WI depends on what type of passport application you are needing. The process in these guides assumes that you are applying at a local Sturgeon Bay Passport Office in which case it will take you 4 to 6 weeks to get a passport in Sturgeon Bay. Residents of the following closeby cities looking to get a passport should consider using the passport office(s) located in Sturgeon Bay for document sealing and 3-week passport expediting. 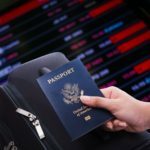 Be sure to check other nearby passport offices listed above, as there may be a closer passport office to your city.